Know Prepare Survive is a participant in the Amazon Services LLC Associates Program, an affiliate advertising program designed to provide a means for sites to earn advertising fees by advertising and linking to Amazon.com. 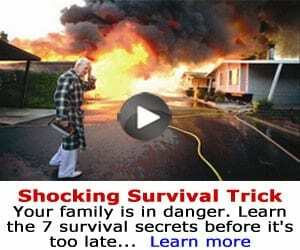 Know Prepare Survive is also an affiliate for other programs such as Commission Junction, ClickBank, Shareasale, and others. Opinions presented in articles and reviews are not influenced by monetary compensation, however. All recommendations are made based on the quality of the product in an honest and straightforward manner. This does not affect the reviews or content on this site, it is only a way to pay some bills to keep Know Prepare Survive up and running.